How Does Traka Support the U.S. Labor Movement? While we take the day to visit the beach and host barbecues with our families and friends, it can be easy to forget the reason why banks and offices close each year on the first Monday of September. Labor Day is a celebration of the progress made to ensure worker safety, following the unacceptable standards that workers endured during the Industrial Revolution in the late 1800's. During this time, the average American was working 12-hour days, 7 days a week, and since there was no federally mandated minimum wage, they were working for a pittance in wages. Wages could vary from a few cents per hour to what was called company scrip, which was a form of currency that could only be spent at the employer’s expensive company store or exchanged for dollars at a fee. The working class included men, women, and even children as young as 5 years old, all working in dangerous work conditions with little or no health benefits or company compensation for work-related accidents. The labor movement made huge strides in to enact child labor laws, full-time worker benefits, safe work conditions and workers compensation for work-related injuries. 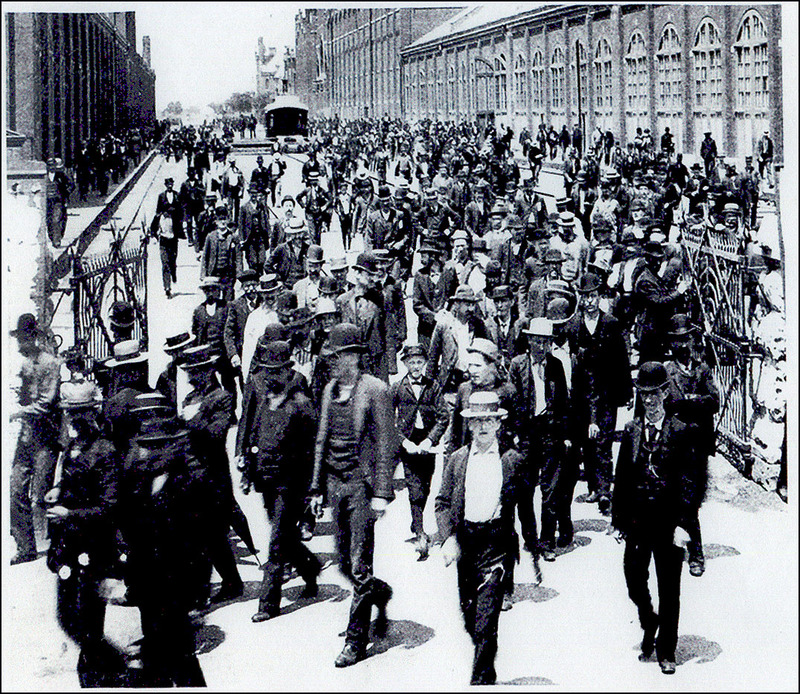 After the infamous Pullman Palace Car Company Boycott in 1894, which resulted in city-wide riots across Chicago and 12 worker deaths, Labor Day was officially declared a federal holiday. Traka is proud to be one of the companies that now helps to ensure worker safety every day! Through our automated Lockout/Tagout process, your company can comply with OSHA standards and go the extra mile to keep your personnel safe. Our system integrations make it possible for our key cabinets and asset lockers to help enforce strict controls in areas of risk. Lockout/Tagout procedures are typically a manual process, prone to human error and inefficiency. With a Traka integrated Lockout/Tagout solution, Traka ensures that your potentially hazardous systems are taken offline when being accessed by maintenance personnel, and remain that way until work is complete and lockout keys are returned to the system. Traka solutions eliminate the risk of human error, and create the audit trail required for OSHA compliance. Our Traka Web administration software keeps a detailed and up-to-date log of who has accessed what keys, and when. It also can require each user to document any maintenance area access, using the Reason Logging feature via the key cabinet’s touch screen interface. Traka solutions can ensure personnel safety by restricting unauthorized or unprepared access to risk areas. If your worker has not taken the necessary keys, tools or equipment to safely work in a hazardous area, or they have not manually powered down hazardous systems, Traka can deny their request for access. This ensures that not only will the area be powered off and safe for workers, but your personnel will be prepared with every tool they need to get the job done properly the first time. This means that workers are more efficient, more protected, and spending the least amount of time required in potentially hazardous environments. How do you ensure your workers safety? Here it is, in black and white. Traka is part of an innovative Group of companies with a strong focus on solutions for the future. For the fourth time, ASSA ABLOY is on the American business magazine Forbes' Top 100 List of the World's Most Innovative Companies, which testifies to the Group's investement in innovation and product development.